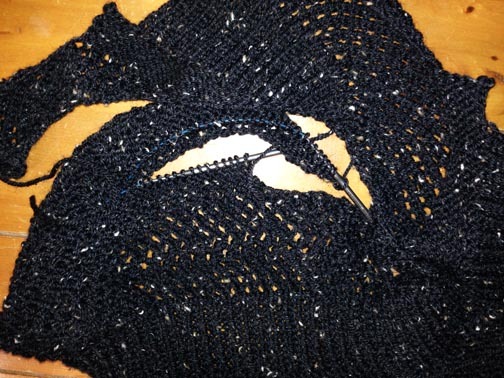 ~My s-i-l asked me to make a black shawl for her so she can wear it to different functions. While she was visiting, I had her peruse quite a few shawl patterns I have. She selected Brickless by Martina Behm. I saw this beautiful shawl on Janet’s Pixelknit’s Ponderings and fell in love with it. S-i-l lives in Montana and wanted a heavier yarn so Encore Tweed by Plymouth Yarn was selected. I increased the needle size to accommodate the worsted yarn. After knitting through one and 1/2 skeins of yarn, this pattern is looking more as if it’s a long, black snake than a shawl. 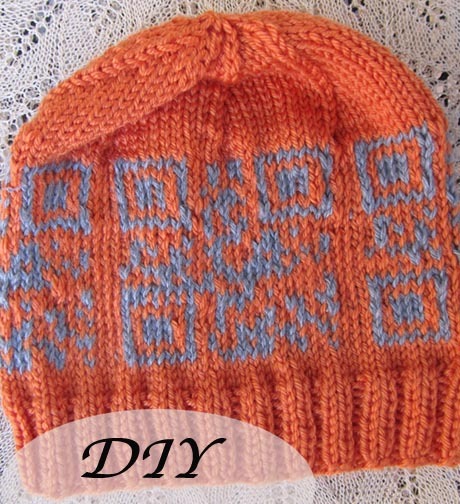 It’s a beautiful pattern and I’d like to try it again in a finer yarn and end up with a scarf or “shawlette”. Poor Hubs, I told him that since the shawl is for his sister, he had to frog the entire shawl while rolling in a ball back on the skein. Nothing like free labor! Brickless turning into a long, black snake. Looking through the shawl patterns again, I chose Faraway, So Close by Carina Spencer. 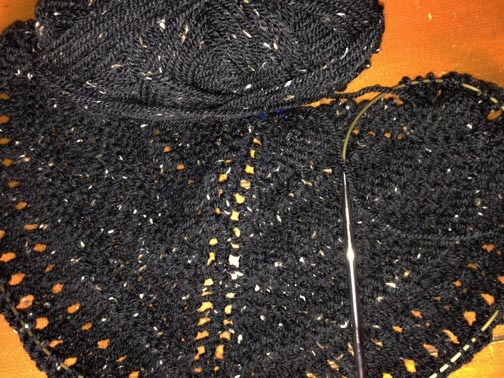 This shawl is knitting up beautifully since the pattern is perfect for this pattern. All of the textures are quite wonderful. It’s a very easy pattern to follow and will be perfect for today’s flight. I’m flying off to Oahu again to visit my daughter’s family. I’m called “Granny Nanny”. Yahoo!! I’ll be gone for a week. 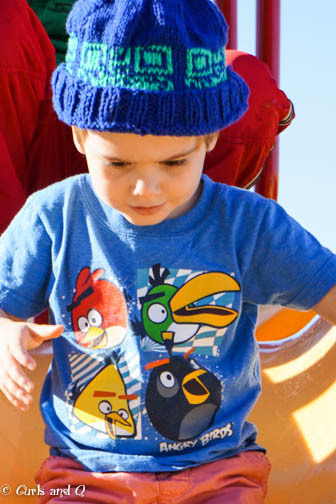 This pattern is so easy to follow, there are a few main patterns to follow for the different rows. 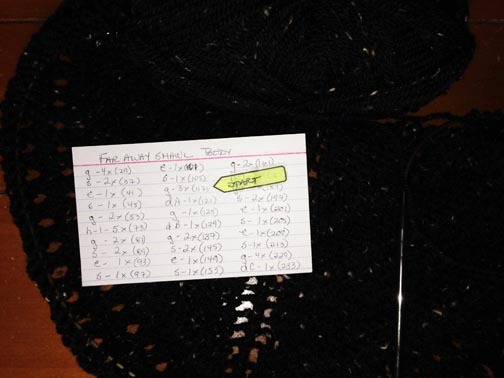 I wrote down the row patterns on an index card, using an arrow tab to mark the row I need to start knitting. This has made the project quite portable. I have the pattern open in GoodReader on my iPad so I can make notes on it. When flying, or in the car, using the iPad is not feasible so the note card is perfect. Loving this pattern. Tip: use notecards to write down row repeats. Use an arrow to show starting point. I’m headed to the airport now. I find it difficult to post while on vacation, so I’ll write when I return next week. ~To keep the alliteration going between WIP Wednesday and Finished Object Friday one has to have Tip Thursday. 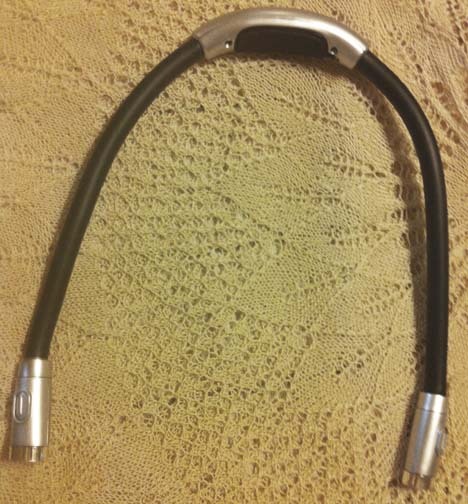 I’ve found an item which have made my knitting life easier. 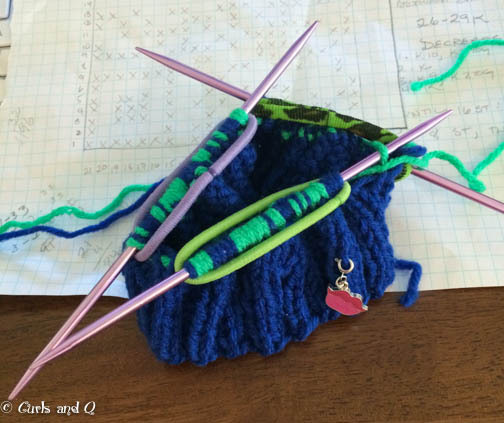 So what gadgets do you have that make knitting or crocheting at night a heck of a lot easier? ~Wonder which needle size to use for your handspun yarn? A quick trick, learned in class, is to wrap the yarn around your finger twice, then place various needle sizes against the wraps. The needle size which matches the width of the wrap will be a good size to use for your knitting project.